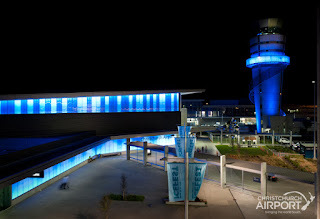 There have been some really exciting announcements coming out of Christchurch International Airport recently. Passenger numbers are growing well, new linkages are being formed with International Airlines bringing wide-bodied aircraft directly to Christchurch. Domestic connections are increasing and the redevelopment around the Airport is moving on at pace. All of this is good news for Christchurch, Canterbury and the South Island. We have a 24/7 world class facility with a brand new top-of-the-line terminal that is critical to our city, our region and our island. Tourism in the South Island is forecast to grow strongly, especially from inbound Chinese visitors. We have a freight capacity deficit in the context of moving freight directly into offshore markets. This is particularly critical for high value perishable products. A well-coordinated growth strategy in carrying capacity is vital to our future prosperity. We can be pleased with the progress our Airport is making. If there is one fly in the ointment, it is hotel capacity in Christchurch. We need lots of it and we need it now. Some of it will be determined by getting certainty around the timing of the Convention Centre rebuild. That needs to be resolved with urgency.